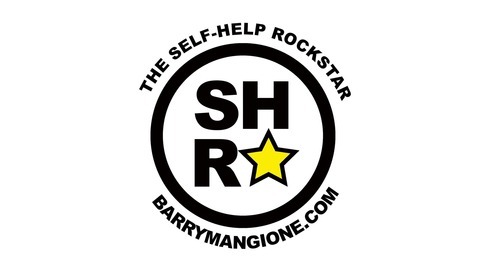 The Self-Help Rockstar Show (formerly the No Easy Answers podcast) is where self-help becomes cool. 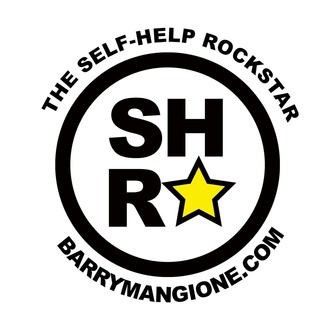 After overcoming his own personal obstacles and demons, host Barry Mangione is on a mission to share the tools, tricks, and timeless truths that helped change his life, to help create a worldwide army of self-help rockstars! Barry is an author, musician and life coach. He suffered through depression, divorce, bankruptcy, alcoholism, and thoughts of suicide. Yet he turned it all around to create a life filled with happiness, peace, and abundance. Inspiration Mondays feature songs to get you moving and inspired for the week ahead, along with Barry's unique Self-Help Rockstar commentary. Wisdom Wednesdays feature interviews with inspirational figures, thought leaders, and experts in their fields, giving you knowledge and experience to help live your best life possible. F-Word Fridays feature Barry giving the "Self-Help Rockstar Treatment" to a different f-word every week (forgiveness, fear, freedom, fun...) to lighten up the spirit of self-help and give listeners a good vibe and something to think about going into the weekend and beyond. Find out more about Barry at barrymangione.com. Today I'm announcing that I'm "suspending my campaign" as podcaster for a while to focus on music. I'm about as happy and inspired as I've ever been with the music I'm writing and the guys I'm performing it with, and it's time to give that my full attention. In this episode, I talk about how I came to this decision, and some of the lessons I've learned over the past 200 episodes. I want to thank everyone out there who's been listening to the podcast and supporting the show. Please stay subscribed so we can reconnect when I relaunch the show sometime down the road! In the meantime, please check out my band on our social media pages: https://www.facebook.com/bluealienmystic/ https://twitter.com/bluealienmystic Thanks for supporting the show! Please share the show with a friend and share your feedback with me on social media: Twitter: https://twitter.com/BarryMangione Facebook: https://www.facebook.com/barrymangioneofficial/ Instagram: https://www.instagram.com/barrymangione/ Or via email at barrymangione1@gmail.com Remember to visit barrymangione.com for updates and info on my books, my music, and more!